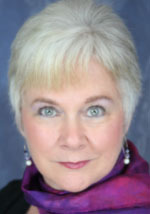 I’m Dr. Jeannette Murray, Licensed Professional Counselor, National Board Certified Clinical Hypnotherapist, and Certified Emotion Code Practitioner. Because of the changing times in which we live, solutions to problems need to be available at our fingertips…and they are! I am committed to offering fast, effective ways to solve problems, promote health, and provide solutions to problems, whether they are emotional, physical, interpersonal, career or academic-related, or metaphysical in nature. Through hypnosis (private personalized or pre-recorded sessions) and Emotion Code (in-person or over-the-phone sessions) you can experience the benefits of these powerful life-changing methods. HYPNOSIS is a viable answer to a complex array of human problems. It can be applied effectively to end destructive habits such as smoking, personal improvement such as overcoming communication anxiety, reaching academic goals, instilling greater confidence, increasing self-esteem, developing relationship prowess, enhancing performance in sports, career, music, etc. and for medical needs such as relieving pain and accelerating healing. HYPNOSIS is widely recognized as a proven catalyst and promoter of change, self-improvement and the attainment of personal goals. HYPNOSIS is safe, relaxing and effective. Now it can be enjoyed in the privacy and convenience of your home. Many, if not all of us, are held back by emotional energies trapped in our bodies that affect how we think, feel, and act. Traditional psychotherapies, while beneficial, are not designed to find and release these pernicious trapped energies. New energy therapies are just beginning to provide this much needed help. After thirty years of counseling practice, I’m pleased to offer one such energy healing modality, called Emotion Code, that is helping clients in ways I never dreamed possible. Emotion Code, developed by Dr. Bradley Nelson, identifies and releases trapped emotions that originate from past negative events and, when trapped, affect us in various ways. They may cause depression, anxiety, block us from love and happiness and make us feel disconnected from others. They exert an influence on physical tissues, causing pain and illness. Releasing trapped emotions frees energy blockages and makes conditions right for the body to heal, or for physical and emotional difficulties to improve, become more manageable, or disappear completely. The best way to judge if Emotion Code is right for you is to experience it. Emotion Code sessions are just as effective over the phone as in person. Call me for a free phone consultation, at 828-284-0040. For more information, refer to www.healerslibrary.com and read, The Emotion Code, by Dr. Bradley Nelson. Weight Loss: CHOOSING SENSIBLE EATING.